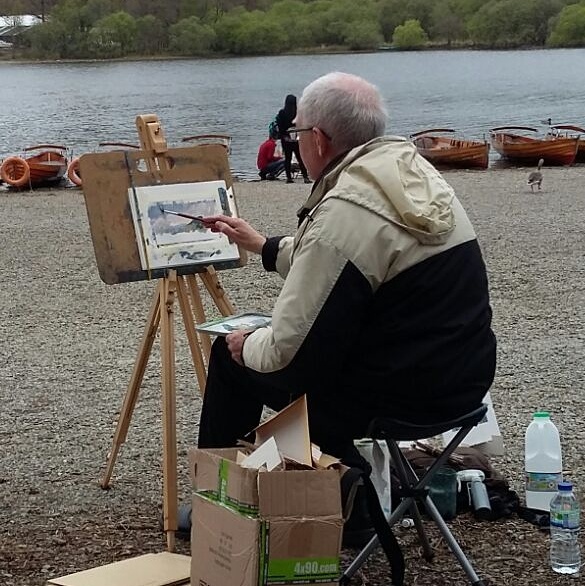 RoyTheArtist and Friends: Painting outdoors in Cumbria! I am not really one for painting in extreme conditions! So for me painting 'plein-air' when it is a bit chilly is as far as it goes. 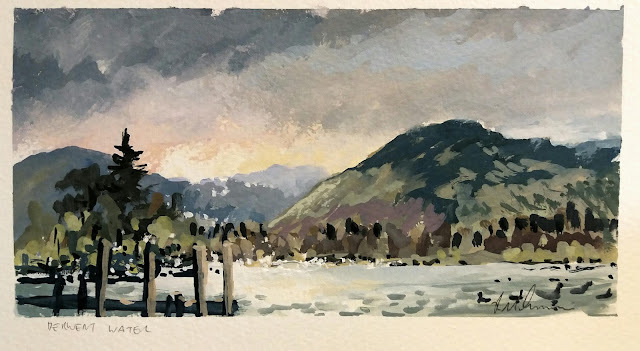 Had a great day today at Derwent Water painting (and selling) my goache landscapes. People were very kind with supporting my work, and their comments. Will definitely be doing more of this. My wife Janet was a great help, it is fun to work together on this. In his book, he mentioned that you, Roy Simmons said "Not all artists can draw"
I've looked into your book "Loose Watercolor" and couldn't find it. If you could help me it would be much appreciated! Hi Reece! Thats so cool! It was in an email conversation with him, I had read 'tribes' and described the fact that many of us artists cant draw (including me). I said I was a potential leader of a tribe of artists who can't draw. I went on to create paintmyphoto (pmp-art.com) email me roytheartist(at)gmail.com for any more information.